Providing a safe and friendly skydiving experience is our greatest priority. 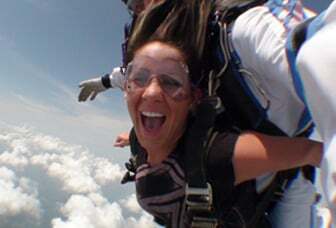 Here at Skydive East Texas, we provide a more personal experience. You will also get to meet and get to know your instructor before your jump. Our Instructors are licensed by the United States Parachute Association and we follow USPA rules and recommendations. Our expert skydiving team is the perfect crew to be with on your first jump. This is your chance to truly experience the exceptional thrill of gliding through the skies! The scenery of the East Texas Piney Woods has never looked better than it does from 10,000 feet in the air! Call us and schedule a lesson with our team today. 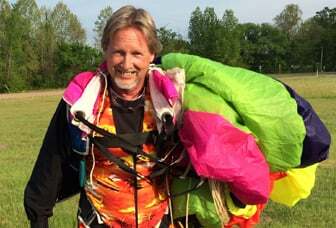 There is no skydiving drop zone in Gilmer, Longview, Tyler, Henderson, or Nacogdoches, Texas, as we are the ONLY skydiving facility in East Texas. Don't pay more with a multi-sport or network ticket agency on the internet. Come to us directly and pay less. While searching on the Internet you will come across many options for skydiving. Many of these options are actually ticket agencies or what they refer to as “networks” that appear to be in or serve a town close to you. These can have many names, or are multi-sport websites that you can buy certificates from. If you purchase a skydiving certificate from these ticket agencies or networks, you may get sent to a place two to four hours away to redeem it when another drop zone may be closer to you. The prices seem comparable but a real drop zone will not charge you a packing fee, tandem class fee, or a handling fee after they get your credit card number. A real drop zone will only ask you for a $50 deposit to make an appointment and will not require you to pay for everything over the phone unless you are buying a gift certificate for someone else. Please feel free to ask for a physical address and make sure that it is a place that they actually own. 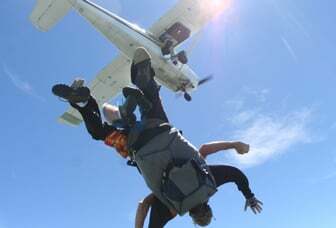 Most drop zones will welcome a visit to their skydiving facility before you jump if you wish to do so. Please research before you buy something over the phone or the Internet.